Grogbrother Jim has been expressing cautious optimism about Hexasim's Eagles of France series this weekend. He's specifically playing Fallen Eagles, which covers Waterloo. 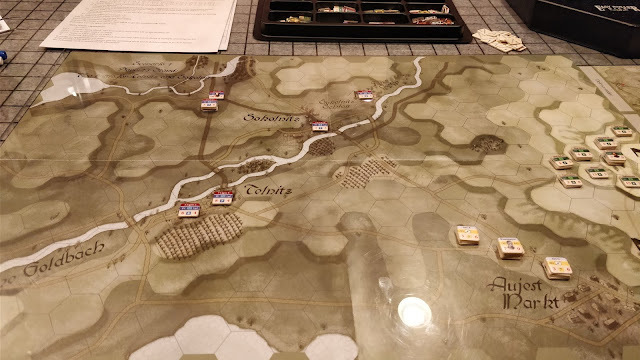 I have Rising Eagles, their Austerlitz game. Given Jim's praise for his early attempts at the system, I thought I ought to finally get it on the table and give it a try. Some of Davout's boys holed up in Telnitz at the start of the game. Hexes are 250m and game turns are one hour. So far I've only played the first turn of the game After a first reading of the rules and the one turn, the best way I can describe this game system is elegant. 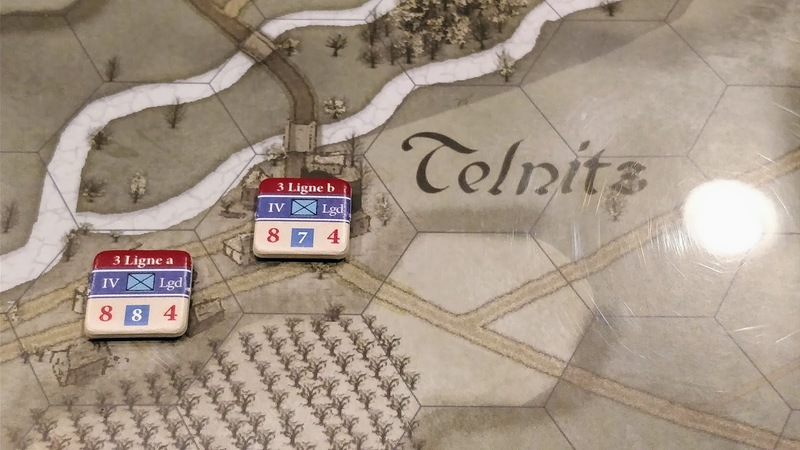 The designers have captured the essence of tactical Napoleonic combat is a very fluid and easy-to-play system. The components are also very high quality, with gorgeous maps and some of the nicest die-cut counters I've seen. The counters are easy to read without a lot of clutter. I'm less fond of NATO symbols on counter s for games of this era, but I'll admit that it makes them easy to read. OSG uses NATO symbols as well, and while I prefer the exquisite counter art of something like Vae Victis' Fontenoy, I understand choosing this direction. A workable orders system. Other systems, like the NBS system by The Gamers, have tried to implement orders systems but they've always been a bit clunky. This system manages to implement an orders system that is easy to track but still implements a historical set of constraints around unit and formation actions. This is coupled with a simple but effective formation activation system. Workable Corps morale. The lack of this at the division/corps level is my primary gripe with the John Tiller Software Napoleonic games. Easy combat resolution that gives historical results. Seriously, combat is quick and easy to resolve in this system. This strikes me as a system designed for playability without sacrificing historical play. 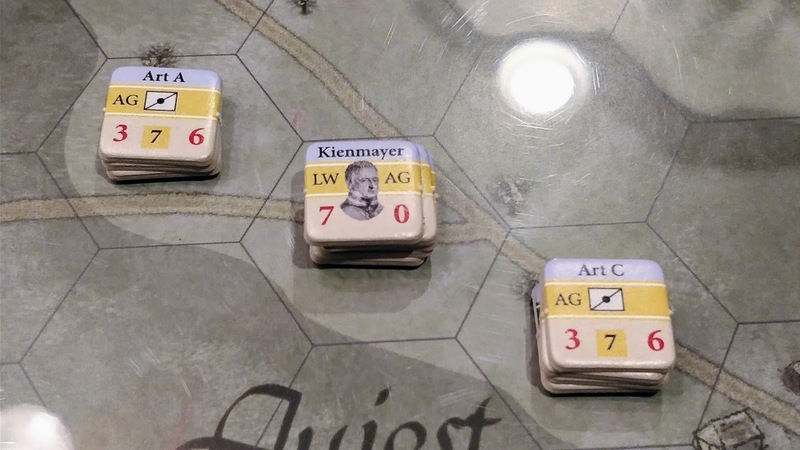 The rules clearly require the use of historical tactics. I'm impressed.